The Vivo has launched the Vivo Y95 in India, that features a Halo FullView display. 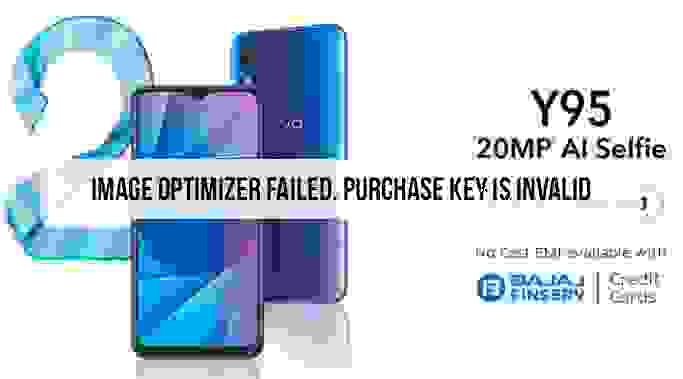 The Vivo Y95 Mobile is priced at Rs 16,999, and is available across online platforms, including Flipkart, Amazon India, and Paytm Mall, as well as offline retail stores. The Vivo Y95 will be available in two colour options: Starry Black and Nebula Purple, alongside discounts and other offers. The Vivo has committed to bring the best in product innovation, be it technology, design or pure play smartphone experience. With the launch of the all-new ‘Y95’, we bring this promise to a wider consumer set looking for the unbeatable product experience, at an unbeatable price point, Jerome Chen, CMO, Vivo India, said in a statement. Vivo Y95 features a 6.22-inch Halo FullView Display, with a dewdrop notch, and a screen-to-body ratio of 88.6 percent. Running the Snapdragon 439 octa-core processor, the phone is based on Funtouch OS 4.5 over and above Android 8.1 Oreo, that is backed by a 4030mAh battery. Vivo Y95 comes with 4GB RAM, 64GB internal storage with expandable memory through microSD support. The Vivo Y95 phone features a fingerprint sensor at the back. It also offers AI Game Mode, that helps control Floating Call Alerts, Background Calling, and an improved Game Keyboard. Besides this, users can consider its Game Assistant, which can help them select and toggle game settings. Vivo Y95 features a dual rear camera configuration that is vertically stacked. This consists of a 13MP primary camera with a f/2.2 aperture and a 2MP secondary camera with f/2.4 aperture. Users can consider Live Photos, AI Scene recognition, Face Beauty and Bokeh modes, besides Google Lens support, PDAF and HDR support. The phone also sports a 20MP front camera backed by AI Face Beauty, Portrait Mode, Live Photos, and AR Stickers.